Sky Sports F1 expert David Croft believes Lewis Hamilton could join Ferrari if they produce a Championship-winning car. Five-time World Champion Hamilton was linked with Ferrari last year with his Mercedes contract coming to an end, but the rumours were put to bed when he penned an extension with the Silver Arrows until 2020. 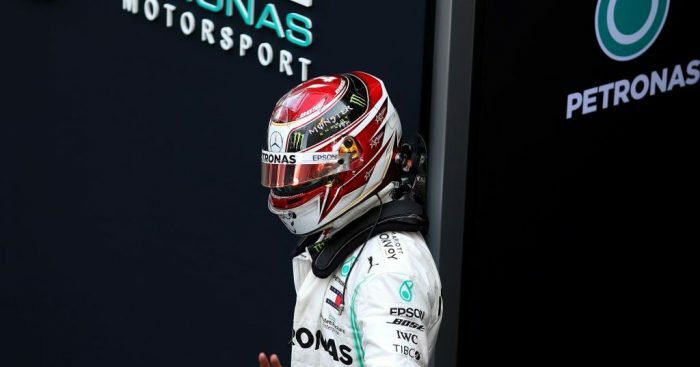 However, Liberty Media are due to introduce radical changes from 2021, and if the Scuderia can take advantage of them, Croft believes Hamilton will choose to end his career there. “Wouldn’t it be nice to see Hamilton as a Ferrari driver,” he asked Express Sport. “It can happen so don’t ever count that one out. “I am sure Lewis Hamilton thought about that once or twice as well. Mercedes are closing in on a record sixth Drivers’ and Constructors’ title-double in a row, but Ferrari set the pace in pre-season testing, while Red Bull look a serious threat with the Honda engine. Croft therefore predicts a three-way battle for trophies in 2019, believing all of the top-six drivers can win races. “Red Bull, Max Verstappen is getting better and better as the years go on,” he explained. “Pierre Gasly is his team-mate and crucially, Honda engines powering for the first time – a new partnership there. They are in the Championship party as well. “There are three team, six drivers all capable of winning a race at every single Grand Prix.